Businesses of any size in all industries. Asure's Payroll and Tax Management is a user-friendly payroll solution, offering complete access to tax filing and reporting, helping you effectively manage your workforce. Simple navigation helps you access the many innovative features. Payroll & Tax Management Reviews Recently Reviewed! Pros: I like this payroll software because it allows me to easily manage my employee's hours, and monitor them accordingly. Cons: What I liked least about this software was the fact that when pay periods end in the middle of the week, there isn't a way too see last pay periods hours so you can properly account for overtime since overtime is calculated between Sunday through Saturday. Overall: I would say my experience has been reasonable. I like the software because I can manage my employees regular hours effectively. It only gets troublesome when I'm trying to account for overtime. Pros: I can keep track of payroll and taxes all on one easy to use program. 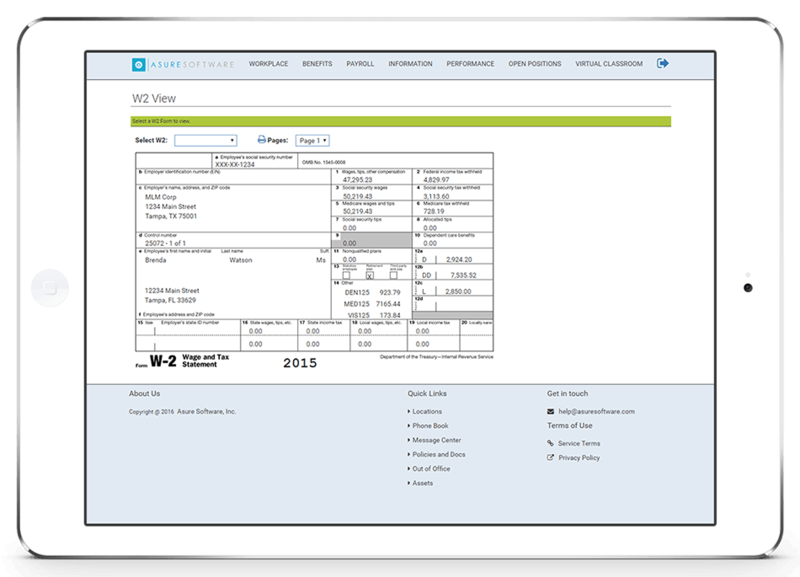 It makes it easier to keep track of information and makes it more convenient to find your both payroll and taxes. Cons: There's nothing that I didn't like about it. Pros: Very helpful in managing payroll and keeping up with the taxes related to it. Cons: Takes a bit of getting used to depending on what you have used before.